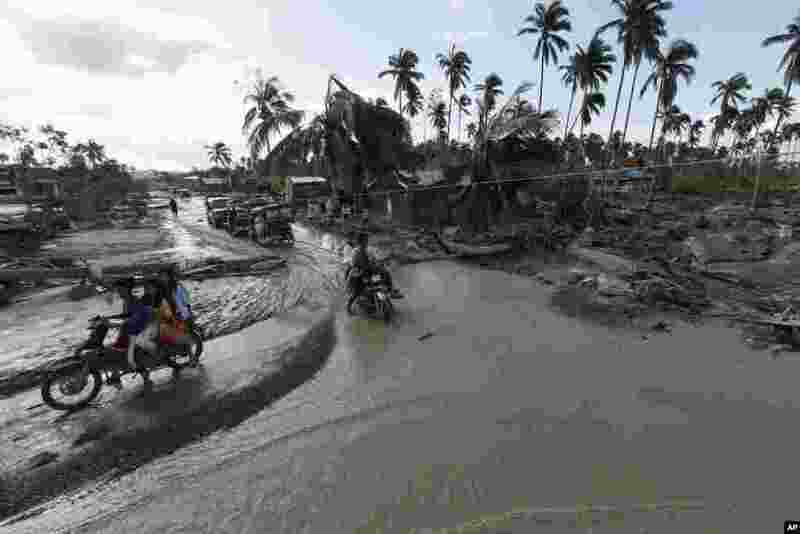 Rescuers in the Philippines are searching for survivors and rushing emergency aid to a quarter million people displaced after Typhoon Bopha. 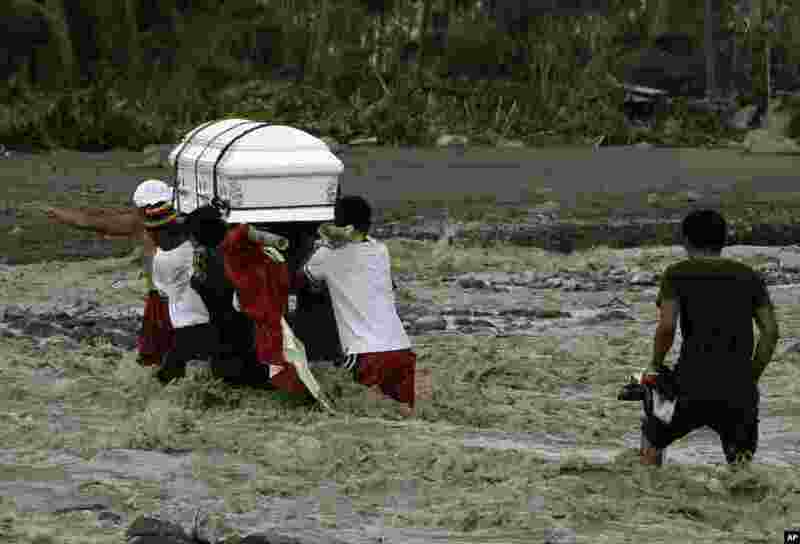 1 Relatives cross a river to bury their loved one, who died in a flash flood caused by Typhoon Bopha in New Bataan township, Compostela Valley, Philippines, December 6, 2012. 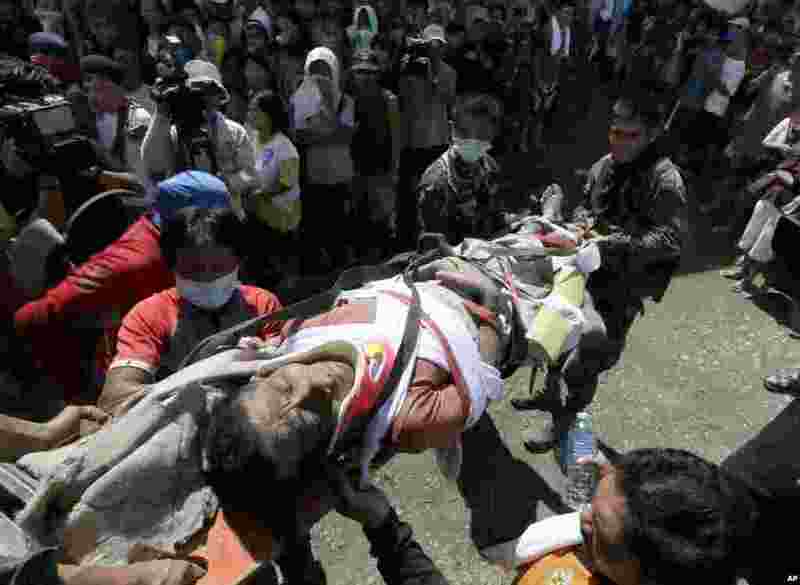 2 A typhoon survivor is carried into a makeshift clinic after being rescued in New Bataan township, Compostela Valley, Philippines, December 6, 2012. 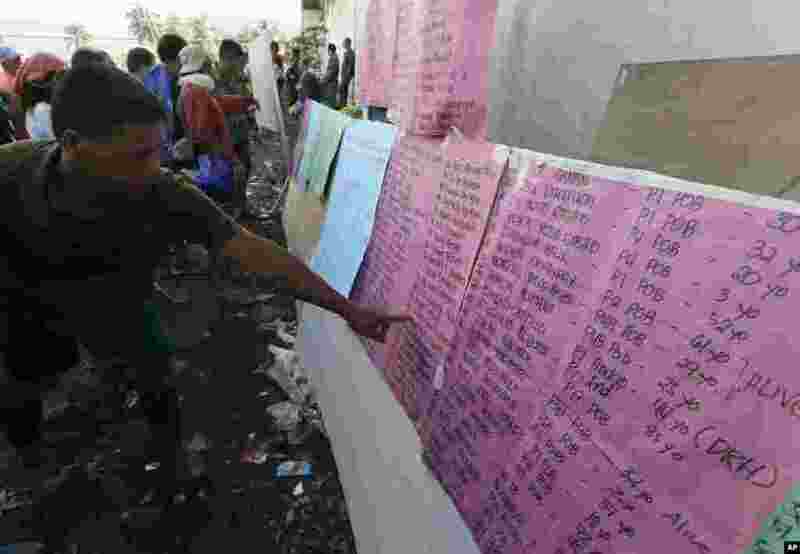 3 A resident checks the names of his missing relatives in New Bataan township, Compostela Valley, Philippines, December 6, 2012. 4 Residents line up for relief supplies at an evacuation center in New Bataan township, Compostela Valley, Philippines, December 6, 2012. 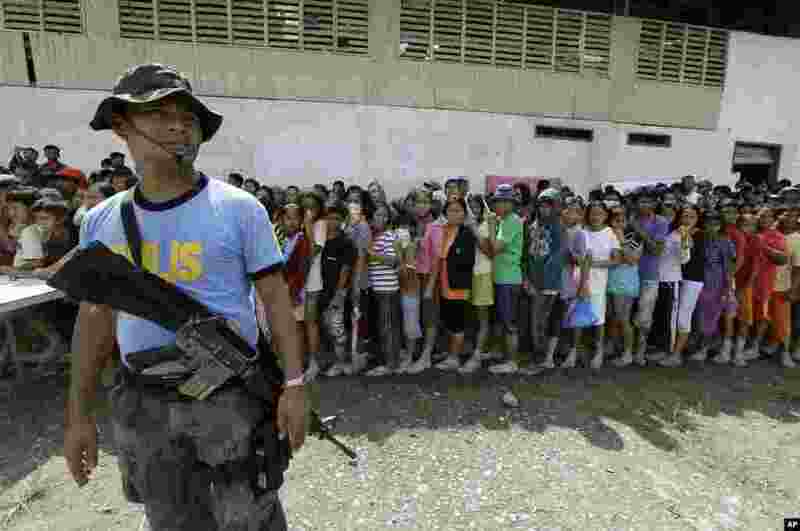 5 People line up for relief supplies at an evacuation center in New Bataan township, Compostela Valley, Philippines, December 6, 2012. 6 Residents evacuate to higher grounds at the flash flood-hit village of Andap, New Bataan township, Compostela Valley, Philippines, December 5, 2012. 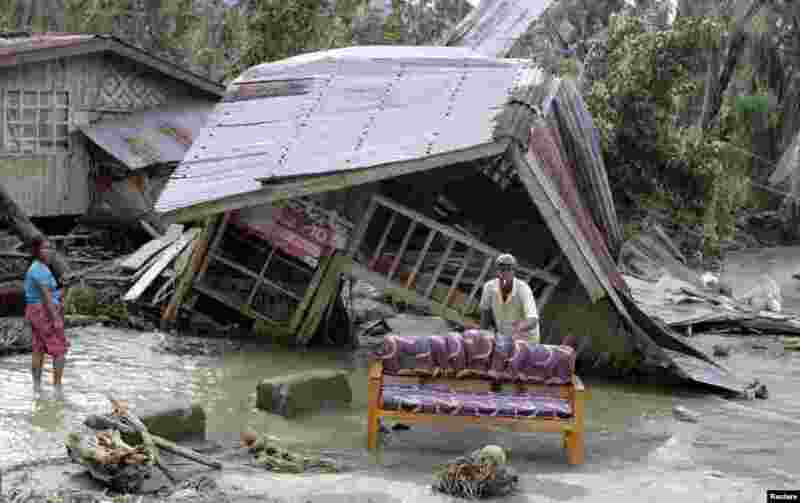 7 Residents clean their sofa outside their destroyed house after Typhoon Bopha hit Compostela Valley, Philippines, December 5, 2012. 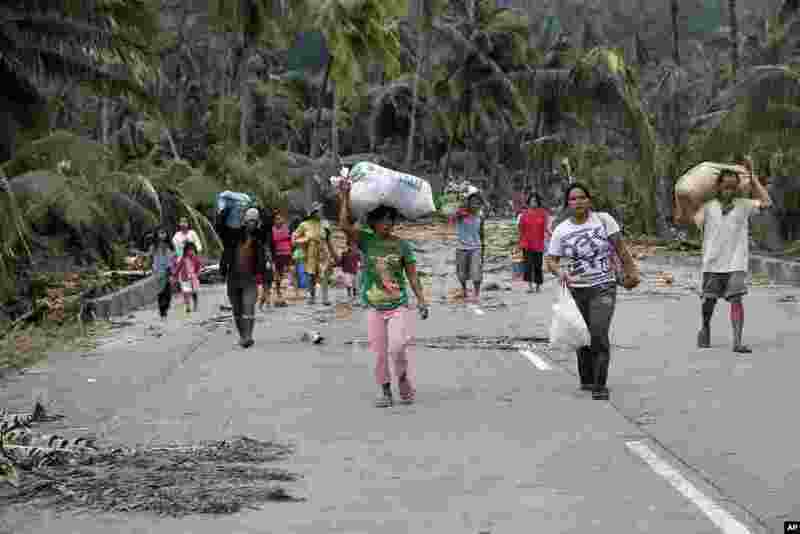 8 Residents make their way through a flooded area of New Bataan township, Compostela Valley, Philippines, December 5, 2012, a day after Typhoon Bopha made landfall.